Technology meets practicality in the most beautiful of forms – Comfortable, durable, fast and yet in style: That’s the new Lekker E-Jordaan. 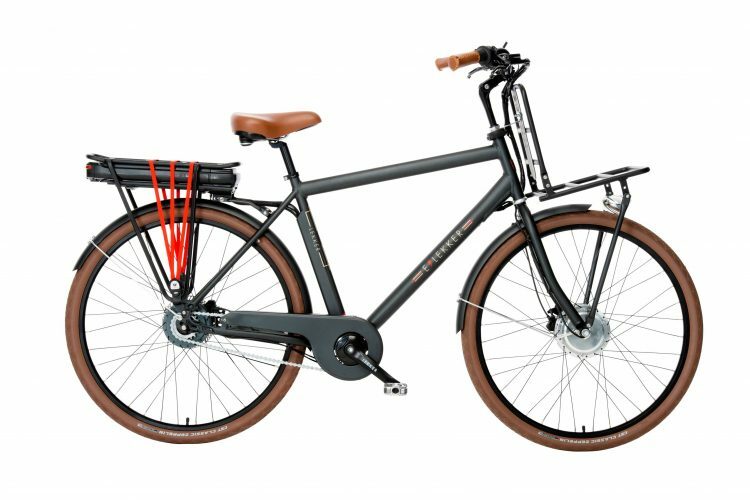 The E-Jordaan can be ridden anywhere a conventional bike can, it’s able to carry a load effortlessy and it’s simply so much fun to ride at all times. No hill, headwind or long distance commute will stop you – it’s a true ticket to ultimate freedom. We are thrilled to finally introduce an E-Bike – or Electric Bike – that is capable of being used daily in an urban environment. That is easy in use, simplistic and comes with a stylish retro/vintage design. The E-Jordaan is designed with function and comfort in mind. 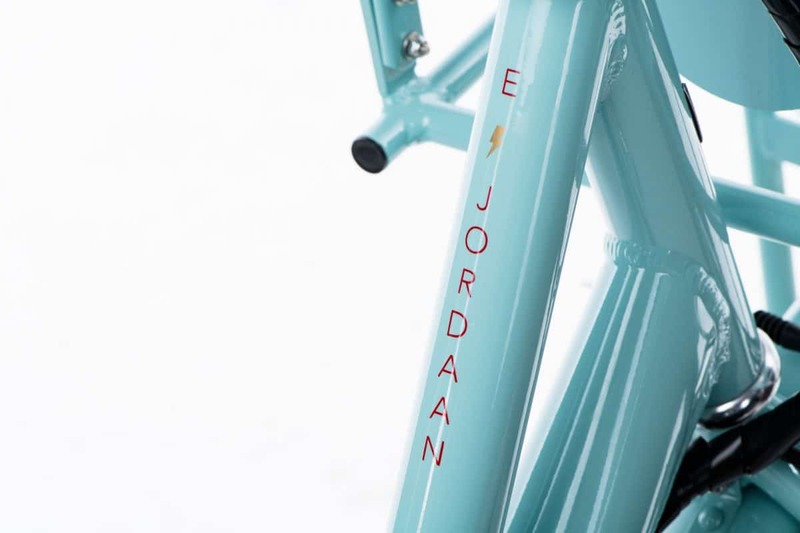 We’ve taken the best elements from the Jordaan design and perfected it for the E-Jordaan Bike. We’ve stayed true to the lightweight and rust free aluminium frame, which adds to the lightweight character of the E-Jordaan. It’s carrying capacity is optimized with a front and rear carrier rack. We’ve extended it’s durable design with high quality components to ensure the best possible cycling experience. 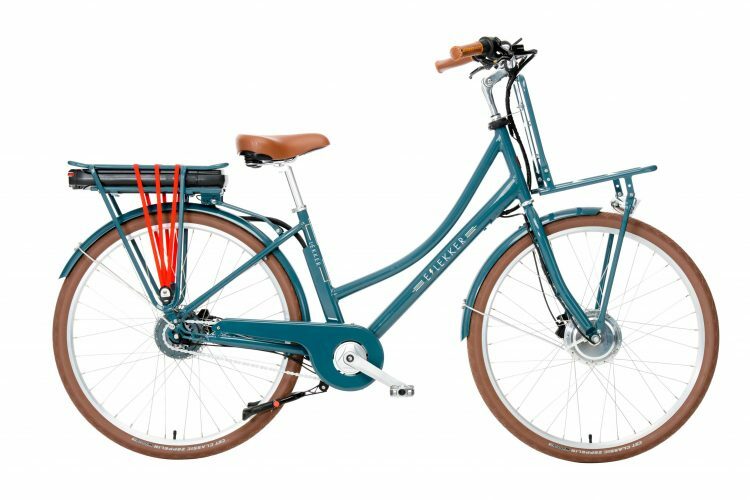 Expect premium LED lights, Shimano Steering lock in combination with a double kickstand for optimal stability on standstill and comfy fat road tyres. The unmistakable and comfortable upright riding position makes every journey feels like a little getaway. 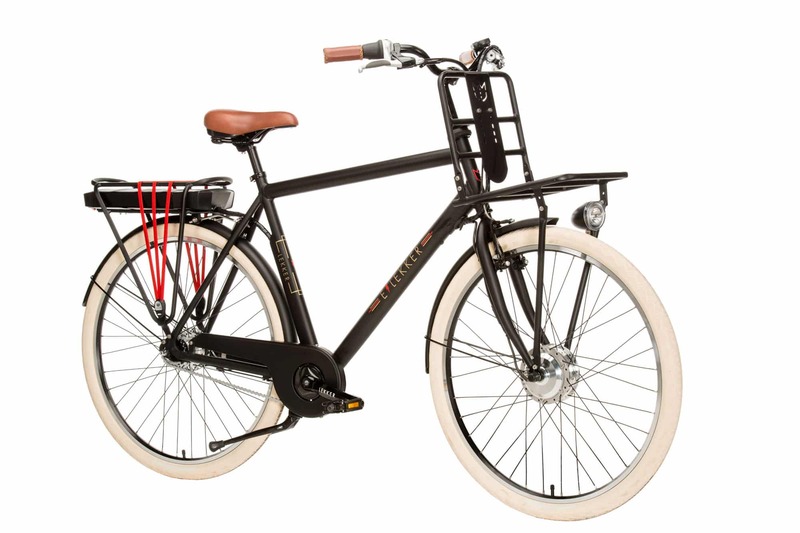 The E-Jordaan is a simple and efficient E-Bike that is comfortable, robust and yet nimble around town or trail. The Lekker E-bike can be ridden anywhere a conventional bike can, it’s able to carry a load without effort and it’s simply so much fun to ride at all times. No hill, headwind or long distance commute will stop you – it’s a true ticket to ultimate freedom! Think no registration, no insurance, no licenses, free parking everywhere, access to quick and amazing bicycle trails, the ability ride on sidewalks in some areas, dedicated lanes, commuter benefits for employers, simply bring and store your bike in the office….well, we could keep on going for hours. 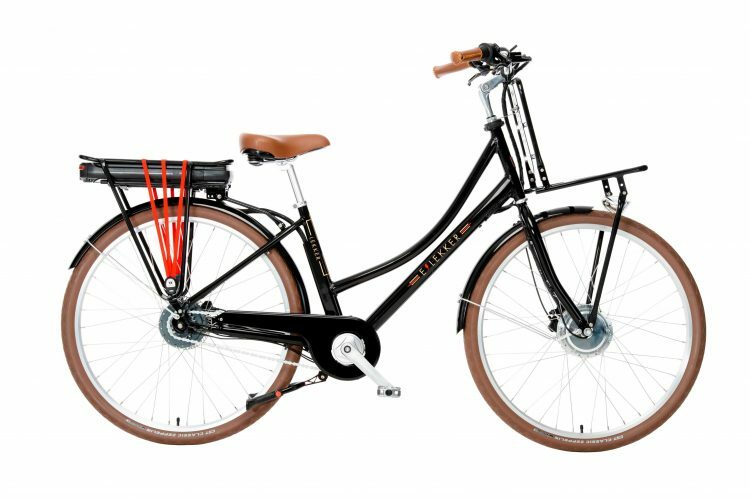 The Lekker E-Jordaan fills in the gap between driving your car and riding your bike, making it an easy and smart decision for an optimal commute and benefit from a car and care free ride around town. It’s a true new way of commuting around Australia’s cities. 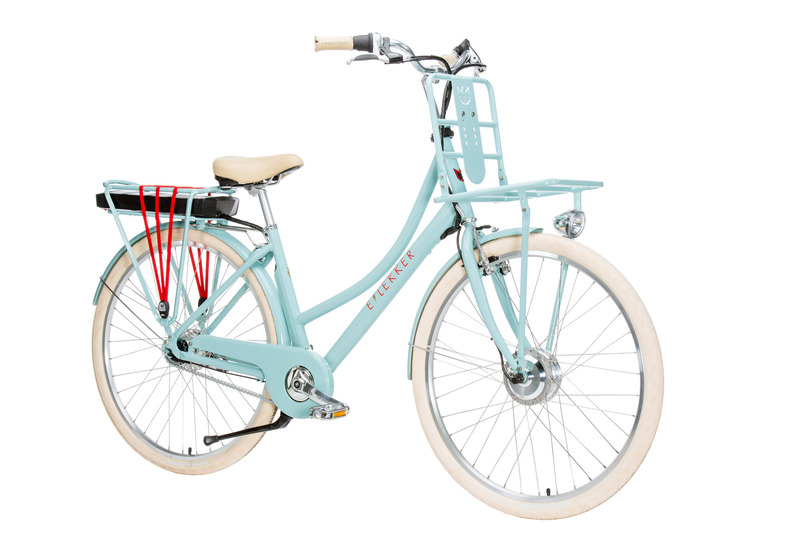 To introduce the E-Bike – Electric Bike – concept to our riders in Australia we have decided to launch the very first Lekker E-Jordaan range against a very special early bird offer. A proven lightweight E-Bike Concept that’s designed with our Dutch Design Standard in mind. 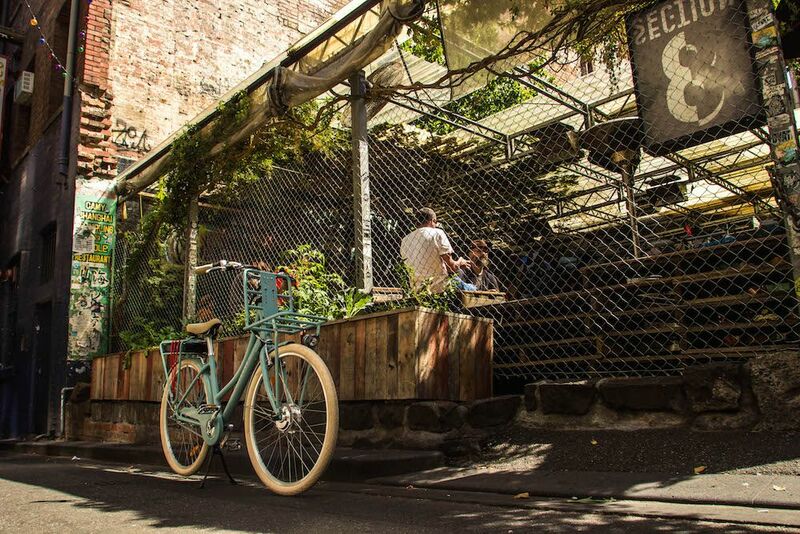 Grab the $500 early bird discount and be a true pioneer in your city, and enjoy a relaxed, sweat free bike ride and explore your city!